What are the first things you think of when you’re about to take your family swimming in a pool or at the beach? It’s easy to think of the fun things, such as water toys, snacks, and your camera. What about all the potential dangers in and around the water, or what to do if something does happen? Here are some tips for a fun and SAFE water experience for you and your children! Always have an adult watching. There should be no exceptions, no matter how old the children in the water are. If you’re at a pool with many people, such as a BBQ or birthday party, designate a parent or adult to watch the pool at all times. Take shifts if that makes it easier! Make sure the person watching isn’t more invested in their phone or talking to other people than watching the kids – Facebook and Instagram can wait! Ditch the water wings. Many families use them for safety. However, they are not a reliable safety device! These and other floaties like pool noodles and mats slip and deflate easily. If you’re considering a flotation device, invest in a Coast Guard Approved life jacket, such as a puddle jumper. Put toys away if they are not being used. Little ones love to crawl or walk towards interesting things. They may go straight into the pool after seeing something colorful or shiny in the water. Get CPR certified. This is a life-saving skill that everyone should know! Every second matters during a rescue. If your child needs CPR – you should know the proper steps to follow until help arrives. It only takes a couple hours of your time. Get certified here. Enroll in swim lessons. This is the most important part! Let experts get your children up to speed with water safety. Swim schools teach kids not only how to swim, but help them learn how to save themselves if something should happen near water. There is a difference between knowing what to do and doing it while feeling shocked and panicked. These small but significant actions make a huge difference! If you need more information on how to keep your family water safe, feel free to reach out to King’s Swim Academy staff and we will be happy to give you more information! 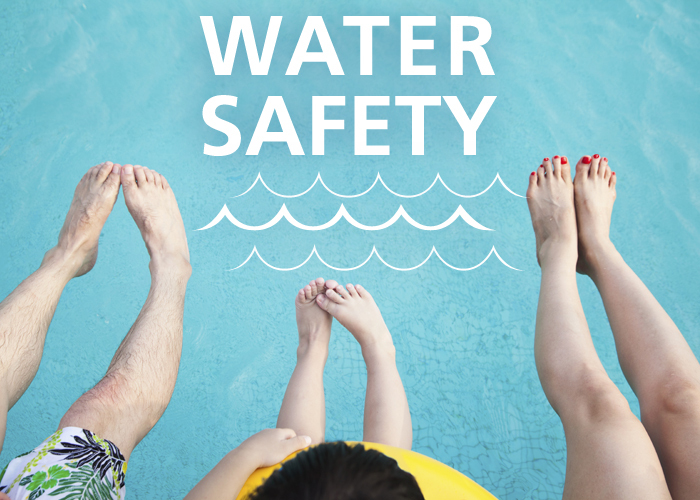 Water Safety Rules Aren’t Just for Pools, is Your Home Safe?